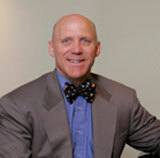 Bernie Vogel is a shareholder and the CEO and President of Silicon Valley Law Group. His practice emphasizes complex corporate transactions, investment financings, mergers and acquisitions, as well as the formation and maintenance of partnerships and limited liability companies. He provides ongoing business counseling to a variety of entities, ranging from venture capital firms and start up high tech and biotech companies. Advices on directors & officers liability, corporate governance, stock option plans, licensing, and contracts, as well as advice on complex tax issues with respect to transaction structuring, entity formation, reorganizations, and business succession planning. Before practicing law, Bernie was a certified public accountant. Served as lead corporate legal counsel to Spectros Corporation on its successful tax free reorganization merger into Jawbone (formally AliphCom, Inc.) in exchange for AliphCom, Inc. Series 8 Preferred Stock. Served as lead corporate legal counsel to Mapbox, Inc. on its successful $52,600,000 Series B Financing with DFJ Growth, Foundry Group, DBL Partners, Thrive Capital, Pritzker Group, Promus and Ventures. Served as corporate legal counsel to Peak Travel Group on its successful sale to Direct Travel, Inc. Served as counsel for Blueprint Ventures and other VC investment firms in the private placement of $10,000,000 of Series A preferred stock by Platform Solutions, Inc.; $6,000,000 of Series A Preferred Stock by Smartcatch Systems, Inc. and $7,500,000 of Series A Preferred Stock by Astoria Software, Inc. Serves as corporate counsel for TEGSCO, LLC, a company with $38,000,000 in annual revenue which manages the automobiles towed for parking and/or criminal violations in San Francisco, Baltimore County, Kansas, Austin, Indianapolis & San Diego. Bernie has been instrumental in helping the company locate and confirm financing during the highly competitive bidding process, which landed TEGSCO the contract with San Francisco. Court Appointed Liquidator in involuntary wind down and dissolution of Solar Notion, Inc., a ventured-back Delaware corporation. Director and Past Chair of the Board of Directors, COMPAC (a business and political action committee). Former Director and President, Law Foundation of Silicon Valley.